With every Spring brings a new Major League Baseball (MLB) season, where each team’s fan base has “hope and faith” that their team reaches the coveted post season and a chance to win the World Series. Additionally, each Spring means that MLB fans discover what their favorite teams (franchises) are worth financially as estimated by Forbes. On April 11, 2018, Forbes released their 21st annual MLB franchise valuations report. Due to the 2012 acquisition of the Los Angeles Dodgers by Guggenheim Baseball Management for a reported $2.0 billion, MLB teams, on average, have experienced a 35 percent increase in value between the 2012 and 2013 baseball seasons. MLB franchise values continued to skyrocket in value over the next several years, which prompted Sport$Biz to conduct a research study to determine exactly why MLB team values were increasing so rapidly. On February 1, 2017, Sport$Biz published an article entitled Blast Off! 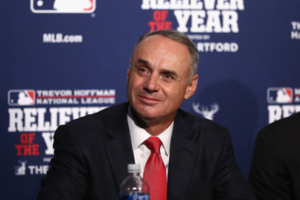 Why Are MLB Franchise Values Skyrocketing at an Astounding Rate?, which discussed in significant detail fourteen factors that are responsible for the franchise valuation increases. Some of those factors included former MLB Commissioner Bud Selig’s leadership and vision, national and local television contracts, MLB Advanced Media (MLBAM), MLB’s Revenue Sharing Program, the creation of state-of-the-art facilities, and labor peace among others. The article concluded that MLB team values will continue to skyrocket for the foreseeable future. That prediction was correct when Forbes published their 2017 MLB team valuations the following April, which showed that “the average MLB team’s value . 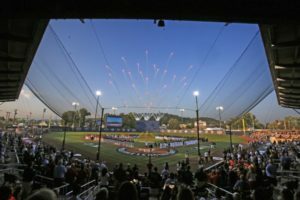 . . increased by 18.5 percent” from the 2016 season. The prediction remained true in 2018 as well when Forbes reported that “the average MLB team is worth $1.645 billion[,]” representing a 6.8 percent increase from the previous year’s average team valuation of $1.54 billion. According to the 2018 Forbes report, the average MLB team revenue was $315 million with an average operating income of $29 million. Revenues increased by 4.7 percent from 2016, which was mostly due to revenues generated from television, premium seating, and sponsorships. Operating income, however, decreased by 17 percent because teams spent more money on marketing, player development, and analytics. In 2017, 6 teams sustained an operating loss (OL), meaning that a team’s operating expenses exceeded their revenues. Those teams that experienced an OL were: (1) Miami Marlins ($53 million OL); (2) Detroit Tigers ($46 million OL); (3) Baltimore Orioles ($26 million OL); (4) Kansas City Royals ($17 million OL); (5) Seattle Mariners ($2.4 million OL); and (6) Toronto Blue Jays ($1.3 million OL). As for the local team, Forbes valued the Milwaukee Brewers (Brewers) at $1.03 billion, an 11.4 percent increase from the prior year ($925 million). 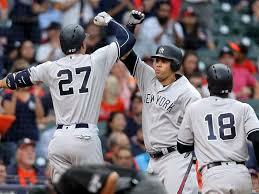 The team is now ranked as the 25th most valuable team in MLB, up from 26th one year ago. This is the first time the Brewers received a $1 billion or more valuation. However, “[t]he Brewers still carry a valuation that[ is] worth less than the MLB average of $1.64 billion per team.” The components of the Brewers’ $1.03 billion valuation consist of: (1) $423 million from MLB’s Revenue Sharing Program; (2) $313 million for the city of Milwaukee and its market size; (3) $204 million due to the value of Miller Park, the Brewers’ ballpark; and (4) $90 million attributable to the Brewers’ team brand. In terms of financial performance, the Brewers earned $255 million in revenue and had an operating income of $67 million in 2017. When the original Sport$Biz article was published in February 2017, the Brewers were in a rebuilding mode. Although the rebuild was supposed to last for a few more seasons, the Brewers got ahead of the curve and are now seen as possible contenders for the National League Central Division. The Brewers won 86 games in 2017, and just missed making the playoffs by 1 game behind the Colorado Rockies for the second National League Wild Card berth. 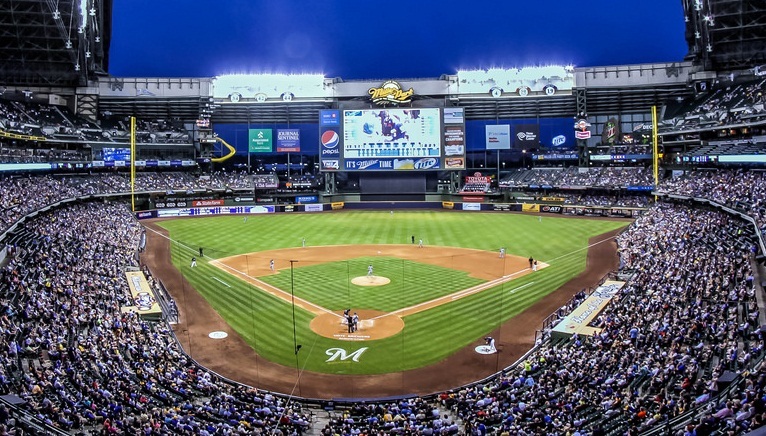 During the 2017 season, the Brewers’ average attendance at Miller Park was 31,589, an 11 percent increase as a result of their winning season and promising future. Also, Brewers games on Fox Sports Wisconsin, the team’s regional sports network, experienced a 35 percent increase in viewership. These are nice recovery metrics for the Brewers, who in 2016 experienced a 9 percent decrease in attendance and a television ratings decline of 25 percent. Additionally, the Brewers made two highly favorable roster moves during the 2017 offseason when they traded for Gold Glove Award winning outfielder Christian Yelich from the Miami Marlins and signed All-Star outfielder Lorenzo Cain to a 5-year, $80 million contract. Finally, the Brewers invested money into several projects, including: (1) updating Miller Park; (2) acquiring the Carolina Mudcats, a “Class A Advanced” Minor League Baseball team to join their farm system; and (3) starting improvements towards their Spring Training facility, Maryvale Baseball Park, in Phoenix, Arizona. With their rebuilding process completed, along with the renewed interest from their fan base, the acquisition of highly productive players, and an investment into the team, the Brewers appear committed towards producing a winning, on-field product and making a run towards a division title and a deep playoff run. 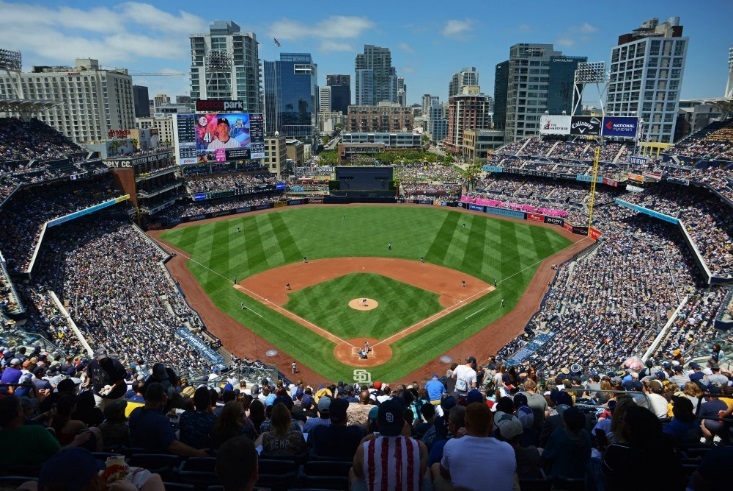 In closing, MLB and its franchises have positioned themselves for future economic success through further investment in their on-field product, sponsorship programs, and future consumers. 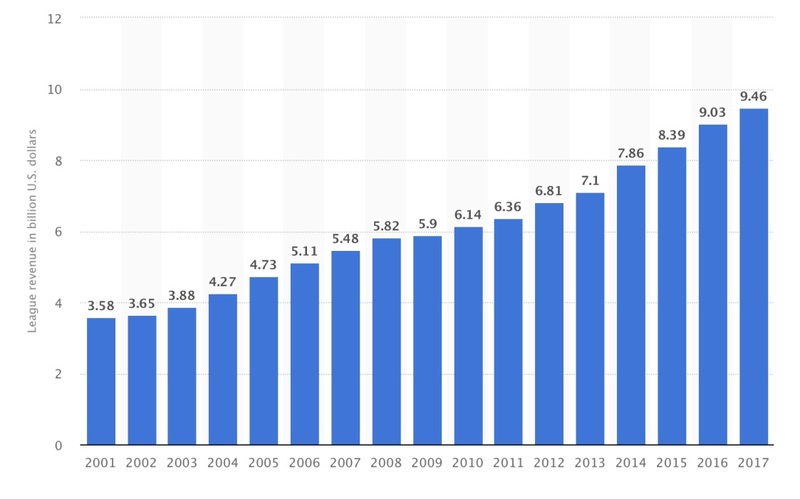 Total revenues among the 30 franchises have increased over the years, with the franchises earning a combined revenue of nearly $9.5 billion in 2017. MLB and its franchises could soon see its total revenues exceed $10 billion annually. With MLB’s current business model of investing in analytics and increasing the game’s exposure towards its younger fans among others, MLB franchise values should continue to skyrocket for the foreseeable future. Michael R. Gavin is a Wisconsin-licensed attorney. In May 2017, Gavin earned his Juris Doctor from Marquette University Law School (Milwaukee, WI) along with a Sports Law Certificate from the National Sports Law Institute through Marquette. While a student, he served as Executive Editor for the Marquette Sports Law Review (Volume 27), and was a member of both the Sports Law Society and Business Law Society. Also, Gavin won Marquette’s annual Sports Law Intramural Negotiation Competition in 2016 as a second-year law student, and followed that up with a second place performance at the 2017 National Baseball Arbitration Competition held in New Orleans, Louisiana, as a third-year law student representing Marquette. 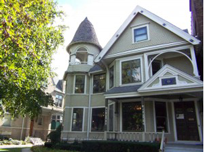 Prior to Marquette, he earned his bachelor of arts in Accounting from Washington & Jefferson College (Washington, PA), with a concentration in Entrepreneurial Studies. Gavin has been a practicing accountant, where he has Big Four public accounting and private accounting experience. Currently, Gavin continues to serve as a sports finance legal intern at The Gamebreakers, LLC in Milwaukee, and is pursuing a Certified Public Accountant license. Gerald Schifman, How Much Hope and Faith Is in Major League Baseball?, Hardball Times (Jan. 23, 2017), https://www.fangraphs.com/tht/how-much-hope-and-faith-is-in-major-league-baseball/. Mike Ozanian, Baseball Team Values 2018, Forbes (Apr. 11, 2018), https://www.forbes.com/sites/mikeozanian/2018/04/11/baseball-team-values-2018/#4b9bca2f3fc0. Martin J. Greenberg & Michael R. Gavin, Blast Off! 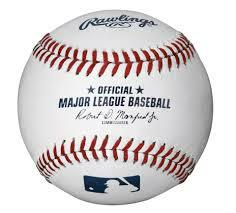 Why Are MLB Franchise Values Skyrocketing at an Astounding Rate?, Greenberg L. Off. : Sport$Biz (Feb. 1, 2017), https://www.greenberglawoffice.com/mlb-franchise-values-skyrocketing/. Martin J. Greenberg & Michael R. Gavin, Post-Script: Blast Off! Why Are MLB Franchise Values Skyrocketing at an Astounding Rate? 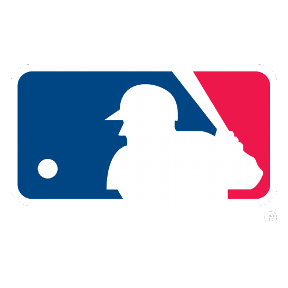 – MLB Franchise Values Update Based on 2017 Forbes Report, Greenberg L. Off. : Sport$Biz (May 1, 2017), https://www.greenberglawoffice.com/mlb-franchise-values-update/. Id. ; Ozanian, supra note 2. Operating Loss – OL, INVESTOPEDIA, https://www.investopedia.com/terms/o/operating-loss.asp (last visited May 4, 2018). The Business of Baseball – Full List, Forbes, https://www.forbes.com/mlb-valuations/list/ (last visited May 4, 2018). Greenberg & Gavin, supra note 3. “Net debt” is calculated as: Net Debt = (Short-term Debt + Long-term Debt) – (Cash + Cash equivalents). Id. See Ozanian, supra note 2. The Business of Baseball – Full List, supra note 14. Greenberg & Gavin, supra note 8. Id. ; Tampa Bay Rays on the Forbes MLB Team Valuations List, Forbes, https://www.forbes.com/teams/tampa-bay-rays/ (last visited May 4, 2018). Id. ; The Business of Baseball – Full List, supra note 14. Milwaukee Brewers on the Forbes MLB Team Valuations List, Forbes, https://www.forbes.com/teams/milwaukee-brewers/ (last visited May 4, 2018); Greenberg & Gavin, supra note 8. Id. ; 26. Milwaukee Brewers – MLB Valuations 2017, Forbes, https://www.forbes.com/pictures/58cc474f31358e1a35ad373d/26-milwaukee-brewers/#2d7d0b473b6c (last visited May 4, 2018). See Milwaukee Brewers on the Forbes MLB Team Valuations List, supra note 28; see also Greenberg & Gavin, supra note 8. Rich Kirchen, Milwaukee Brewers Valuation Exceeds $1 Billion: Forbes, Milwaukee Bus. J. (Apr. 11, 2018), https://www.bizjournals.com/milwaukee/news/2018/04/11/milwaukee-brewers-valuation-exceeds-1-billion.html. Michael Baumann, With Christian Yelich and Lorenzo Cain, the Brewers Are Contenders, Ringer (Jan. 25, 2018), https://www.theringer.com/mlb/2018/1/25/16934836/milwaukee-brewers-christian-yelich-lorenzo-cain-miami-marlins-trade. Regular Season Standings, MLB (Oct. 1, 2017), http://mlb.mlb.com/mlb/standings/#20171001; Wild Card Standings, MLB (Oct. 1, 2017), http://mlb.mlb.com/mlb/standings/wildcard.jsp?ymd=20171001#20171001. Milwaukee Brewers on the Forbes MLB Team Valuations List, supra note 28. Milwaukee Brewers on the Forbes MLB Team Valuations List, supra note 28; Christian Yelich Stats, Baseball Reference, https://www.baseball-reference.com/players/y/yelicch01.shtml (last visited May 4, 2018); Lorenzo Cain Stats, Baseball Reference, https://www.baseball-reference.com/players/c/cainlo01.shtml (last visited May 4, 2018). Carolina Mudcats About, MiLB, http://www.milb.com/content/page.jsp?ymd=20081212&content_id=486737&sid=t249&vkey=team4 (last visited May 4, 2018); Brad Ford, Forbes Values the Milwaukee Brewers More than $1 Billion, Brew Crew Ball (Apr. 14, 2018), https://www.brewcrewball.com/2018/4/14/17237328/forbes-values-the-milwaukee-brewers-more-than-1-billion-dollars; Maryvale Baseball Park, Milwaukee Brewers, https://www.mlb.com/brewers/spring-training/ballpark (last visited May 4, 2018). 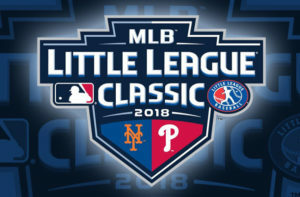 Ozanian, supra note 2; Joe Trezza, Phils, Mets to Play in MLB Little League Classic, MLB (Sept. 29, 2017), https://www.mlb.com/news/phils-mets-to-play-in-little-league-classic/c-256548822. Maury Brown, MLB Sets Record for Revenues in 2017, Increasing More than $500 Million Since 2015, Forbes (Nov. 22, 2017), https://www.forbes.com/sites/maurybrown/2017/11/22/mlb-sets-record-for-revenues-in-2017-increasing-more-than-500-million-since-2015/#62bda6217880 [hereinafter MLB Sets Record]; Maury Brown, MLB Hits Home Run, with Double-Digit Increase in Sponsorship Revenue, Forbes (Nov. 9, 2017), https://www.forbes.com/sites/maurybrown/2017/11/09/mlb-hits-home-run-sees-double-digit-increase-in-league-sponsorship-revenues/#2c310f4130ff [hereinafter Sponsorship Revenue]. Sponsorship Revenue, supra note 44. MLB Sets Record, supra note 44. MLB League Revenue 2001-2017, statista, https://www.statista.com/statistics/193466/total-league-revenue-of-the-mlb-since-2005/ (last visited May 4, 2018).